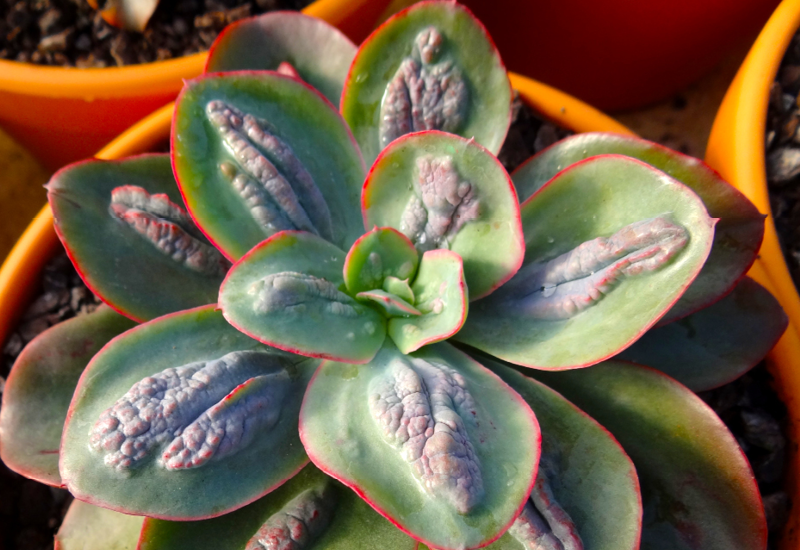 Beauty is in the eye of the beholder with Echeveria Baron Bold. It’s lumpy and bumpy, but definitely lovable! An interesting bumpy-leaved plant with red, green and silver colouring depending on the season. A fun talking point when potted up and placed on your table.